Do you need a professional and secure ballast placement for your Towers? Check out the ballast frame!!! It is designed to serve your rigging needs and make your life easier while dealing with necessary ballasts for tower systems. 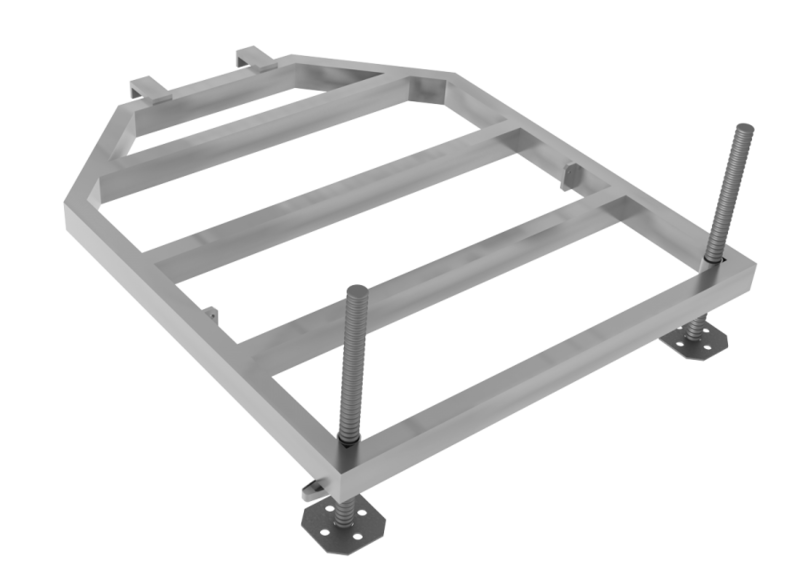 This frame can bear up to 2000Kg of ballast and is very easily connectible with the Tower base plate (TT BP). Project: Exporting Support of TRUSS ALUMINIUM FACTORY a.sThe main goal of this project is active presence of the company at international and foreign trade shows, shipment of the products for display and creating of marketing materials. The project is co-financed by European Union. v rámci inovovaného výrobního procesu, jehož hlavním cílem je zavedení výroby nově vyvinutého výrobku společnosti TAF a zavedení inovovaného výrobního procesu, je spolufinancován Evropskou unií. Project: Project: Presentation of TRUSS ALUMINIUM FACTORY a.s. on the foreign trade fairs. The main goal of this project is active presence of the company at international and foreign trade shows, shipment of the products for display and creating of marketing materials. The project is co-financed by European Union. Tento projekt: Prezentace společnosti TRUSS ALUMINIUM FACTORY a.s. na zahraničních veletrzích, jehož hlavním cílem je účast společnosti na zahraničních veletrzích a výstavách, doprava vystavovaných exponátů a tvorba marketingových propagačních materiálů, je spolufinancován Evropskou unií.